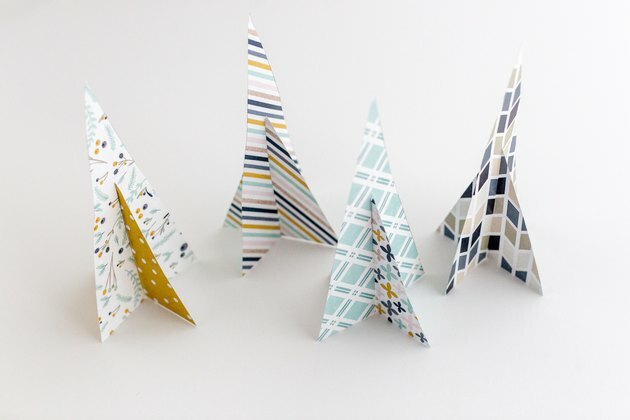 Download our free Printable Paper Trees Template, and print it onto thick cardstock paper. 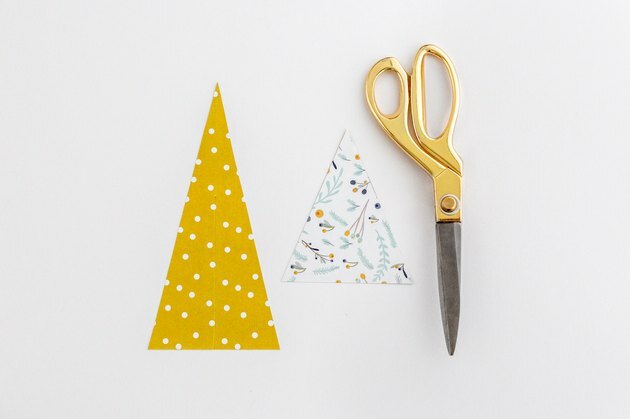 Cut out the tree templates along the lines, including up the center line of the larger triangle shape. 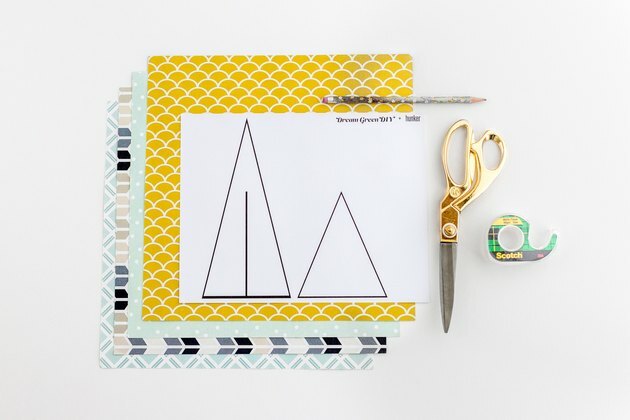 Lay the templates down on patterned scrapbook paper, and then use a pencil to lightly trace along the template edges. 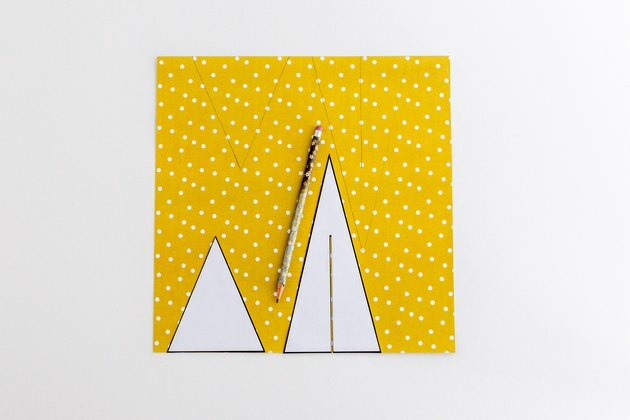 Note that it's best to use scrapbook paper that already features a pre-printed double-sided pattern. Repeat for however many trees you'd like to create. Cut out all of the traced shapes using scissors. 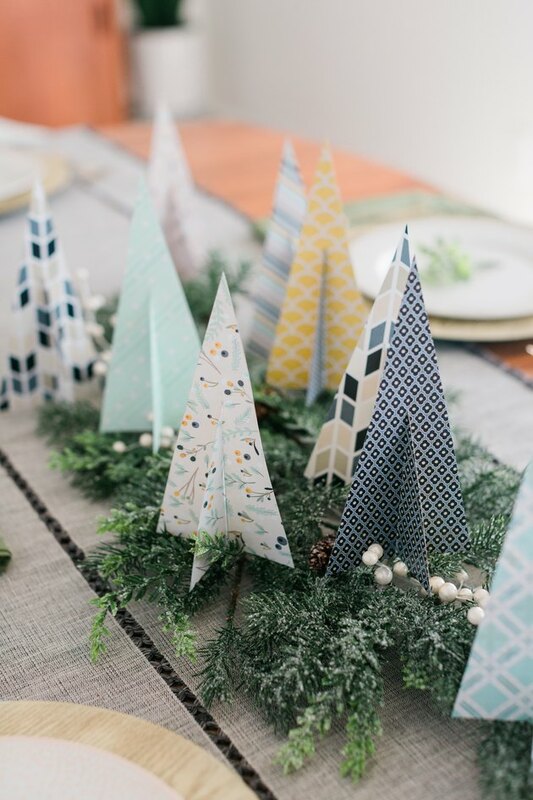 You'll see that the double-sided scrapbook paper we used for this DIY features two unique patterns on each side, creating a fun contrast. 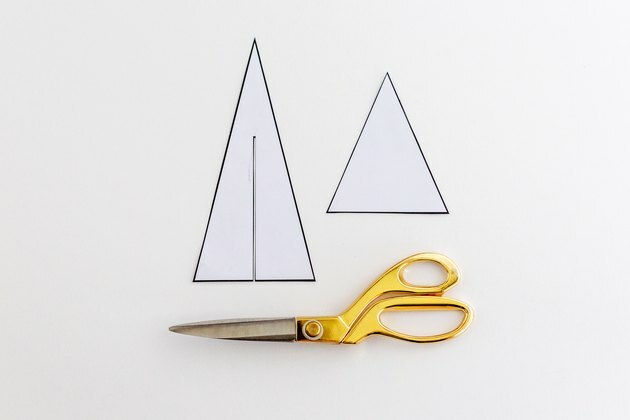 Slip the two paper shapes together in a nested formation so that the tree tips align down the middle. 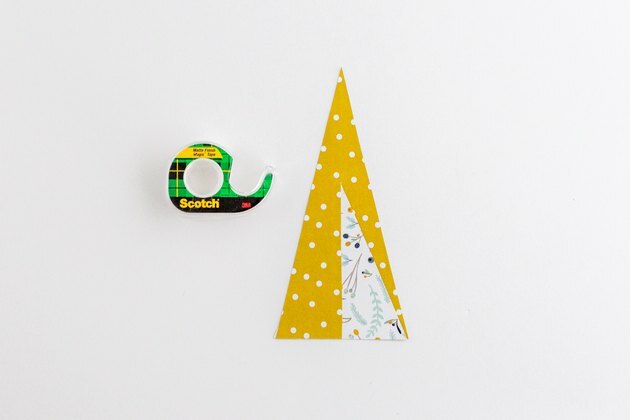 Press small, discreet pieces of clear matte finish tape on the bottom of the shapes where the halves meet in order to hold them together. Flip over and repeat with more tape. 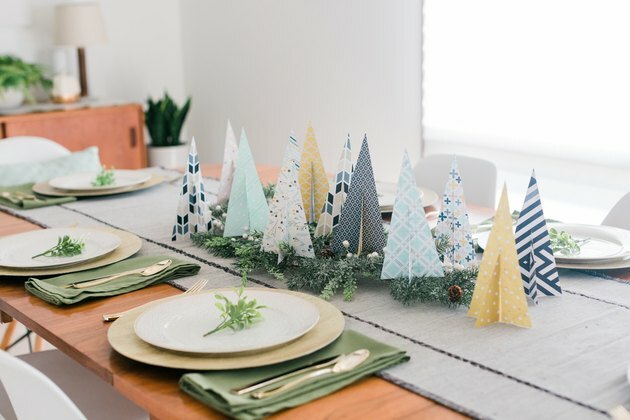 Unfold the paper trees to create a three-dimensional cross section — this will help the tree stand up — and add more tape to finish connecting the two paper halves together. 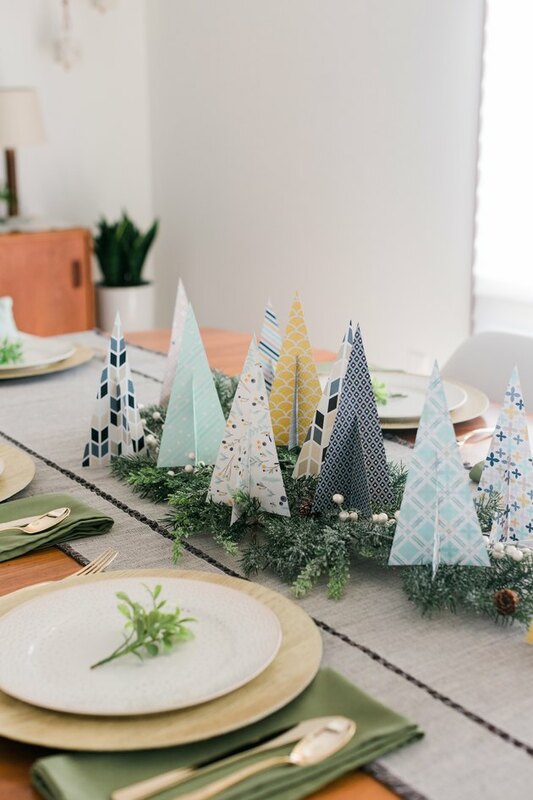 For a lovely centerpiece idea, place them on faux evergreen branches in the middle of your table, styled with other holiday decor that matches the color palette of your paper trees. 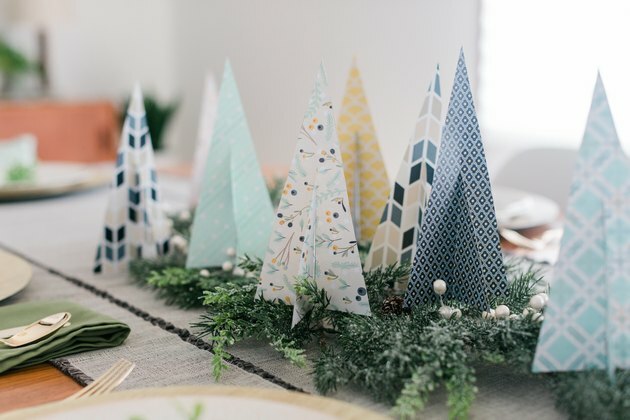 To store, simply fold the trees flat and keep them in a sturdy envelope until next year. 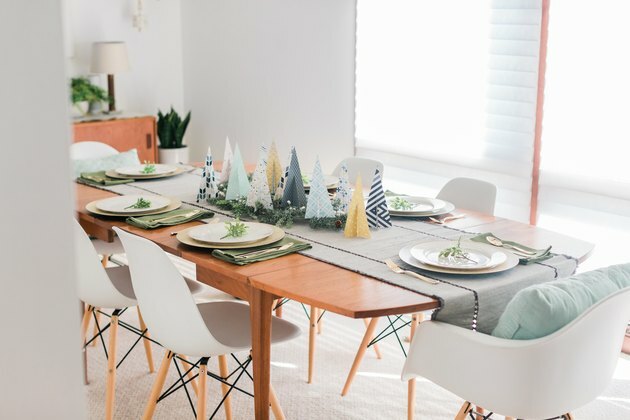 How Do I Create a Life-Size Tree?